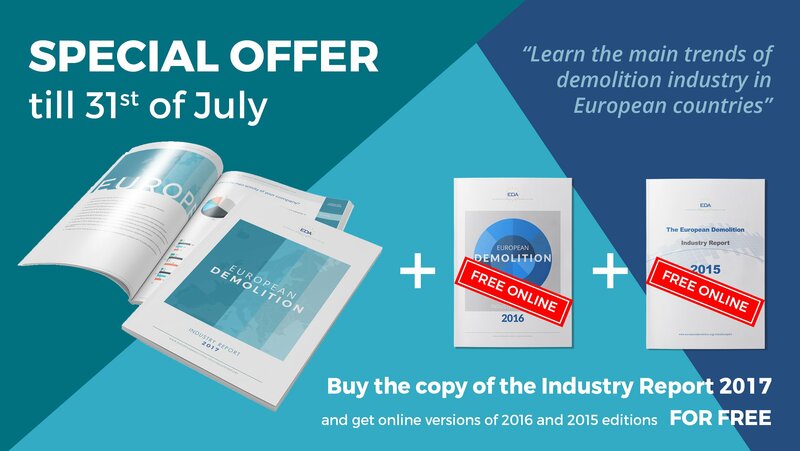 Until 31st of July, EDA offers a special offer to buy the European Demolition Industry Report 2017 and get online versions of 2016 and 2015 editions for free. All this information about the demolition sector is analyzed at an European level and country by country. The language used in the report is English and the national language of each country. In addition, 2017 report includes for each country, a comparative graph with the information collected in previous editions in order to show the trends of the demolition industry for each topic analyzed since 2015. The European Demolition Industry Report 2017 costs 200€, while the companies and National Associations member have already received a free copy for this condition. The publication can be requested here. It is hard to imagine packaging without the use of plastics. Whether it is shampoo, shower gels, liquid laundry detergents or household cleaners – everything reaches the supermarket shelves in containers made of PP, HDPE, or PET.